In today’s marketplace too many companies tend to obsess over getting new customers instead of focusing on the ones they already have. Looks like businesses are putting all the energy and effort into giving out heavily discounted offers to attract new customers and do not care much about longtime relationship. Ironically, buying growth through discounts, sales promotions and advertising is more expensive than retaining current customers. And while in the short run this strategy can fuel the growth and bear fruit, you cannot maintain it in the long run unless you have customer loyalty. 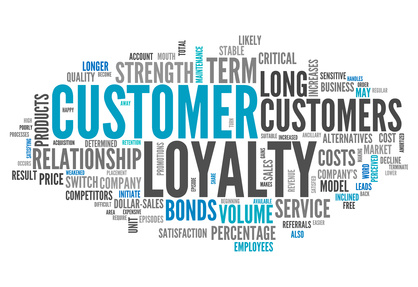 Why is generating loyal customers so important? What does it take to create customer loyalty and what benefits can it bring to your business? In this article I’d like to share some insights on the significance of customer loyalty and how to get more of it. Reichheld also introduces the NetPromoter Score (NPS) metric which is simply the percentage of ‘promoter’ (who respond with a nine or ten) minus the percentage of ‘detractors’ (who rate the company six or below), and according to the research conducted by Bain & Company, the average US company has a score of 10% to 20%. If people feel they are treated right, in a manner that is worthy of their loyalty, they are likely to buy more over time or devote a larger share of their wallets to the company they feel good about. A loyal customer may not necessarily make frequent purchases because of a reduced need for a product or service, so it’s not always about buying again and again from the same company. But if they believe that it offers superior value and also feel good about their relationship with the company, they are willing to promote it. The more ‘promoters’ your company has, the bigger the growth. What does it take to treat customers right? How do you go about creating a successful and loyal relationship with your customers? What does it take to serve them in a manner that will earn their heads and hearts? While many marketing gurus will tell you that you should go above and beyond for over-the-top customer service experience, the Harvard Business Review research Stop Trying to Delight Your Customers argues that companies spend too much time and effort trying to figure out how to exceed customers’ expectations, when simply addressing the basic need will do. The research suggests that making the customer service interaction easy – and helping customers solve their problems efficiently and effortlessly – is the best path toward building customer loyalty. During a three-year period, more than 75,000 B2C and B2B customers were surveyed about their recent contact-center interactions, and as a result the authors introduced the Customer Effort Score (CES) emphasizing that companies should focus on reducing the effort customers have to make. Doing so increases the likelihood that they will return to the company, increase the amount they spend there, and speak positively (and not negatively) about it — in other words, that they’ll become more loyal. 5. Focus on problem solving, not speed. There is little to argue with here. When it comes to service, companies create loyal customers primarily by helping them solve their problems quickly and easily. Certainly the main point is a need to put your customers first and commit the effort into serving them well. So the key to building loyalty is creating a customer-oriented company. Because only through efficient customer interaction you can know their needs and find out the best ways to cater to those needs. The more you commit, the clearer you see new opportunities for growth. How is customer service success and customer happiness measured at your company? Are you struggling to grow profits, cut call-handle time or achieve better NPS/CES rates? Got a great customer loyalty story or ideas to share? We would love to hear your thoughts, so you are always welcome to add them into the comments. This entry was posted in Articles and tagged customer loyalty, customer service. Bookmark the permalink. Most large companies think that customer loyalty building is less important for the market is huge and they can tap into it whenever they want . The bigger the market size , the company limits itself to a transactional relationship and does not care about repeat experiences in future. I always think of the numerous mechanics where I have been servicing my cars. Not a single one has impressed me so far and it never crossed my mind to recommend their services to a family member or a friend. Once, I was offered a bottle of wine and a key-ring bearing the company’s logo by a mechanic for the simple reason that I paid nearly $1,000 for a minor service. Operating without a customer focused philosophy and believing that every customer is the same constitutes a perfect combination to failure in the short run. Growing market share organically through brand and customer relationship building are keys to success, these are leaders’ strategies.Whereas,acquiring market share through discounting and short-term tactics are followers’ strategies and is not profitable in the long-run..
Steeve, you are absolutely right. I can’t help but agree that customer-focused strategy and personalized approach (whenever it’s possible) work wonders for generating genuinely loyal customers. ‘Caring about people’ philosophy brings far more than just ‘caring about their pocketbooks’. After all, it’s how you treat your customers that determines your long-term success. Thanks a lot for sharing your opinion, I appreciate it. 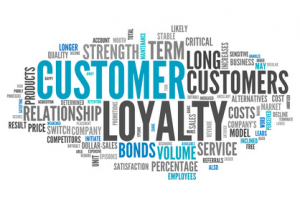 Building Customer Loyalty: What Does It Take? It’s a pretty simple answer – Keep Your Promise(s)! Now, if you’re asking yourself What’s the Promise you have some work to do. Excellent points all the way through Julia. You hit on a big one to me. When you do great things for a customer, provide a great service, they will tell others. All of our referrals are mainly from word of mouth because we offered quality services. The best referral program you could ever have. Your absolutely right, it’s free marketing and effective marketing. I had just read another article prior on Google+, that is how I found you. Just in case your curious. Awesome article, professional, and your right on point. Well done! !